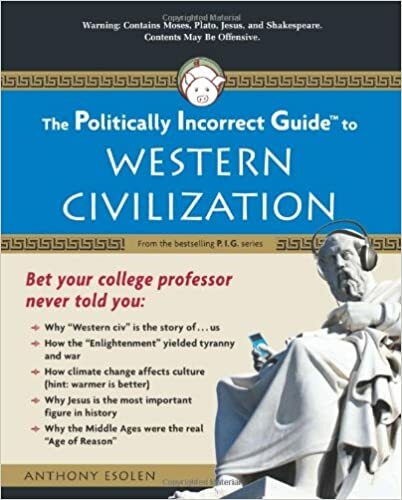 For more information on Viking weapons and other counter-intuitive facts of ancient and medieval history, see Anthony Esolen’s The Politically Incorrect Guide to Western Civilization. 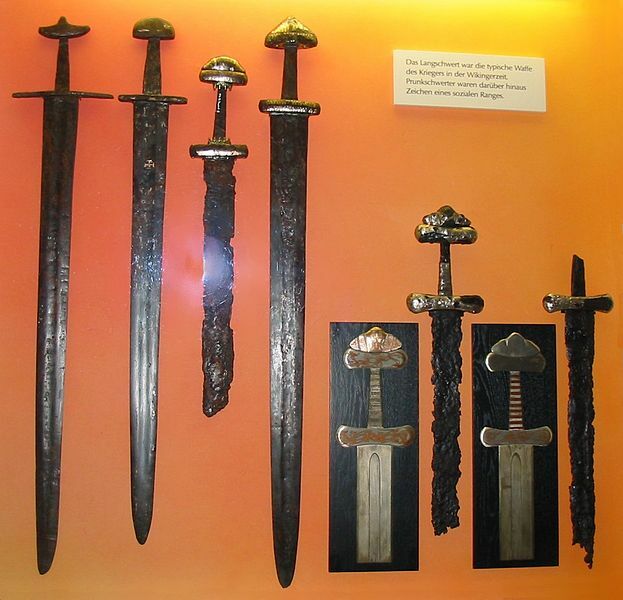 There are a few things to keep in mind as you read about Viking weapons and armor. First, free, adult male Vikings were always armed; they hung their weapons by their bed at night, within easy reach. In an honor-based society such as the Vikings, men stood ready to defend their honor and good name at any moment. Feuds and duels were a fact of life in Viking times. Women, children and slaves in general did not carry weapons, although free women and children carried the knives they used in farm work. Slaves were prohibited from carrying weapons of any type. The most expensive weapon was the sword, as it took the most iron to make. Rich men owned swords, the most prestigious weapon. Swords were double-edged and about 35 inches long. Most were pattern-welded, which means wrought iron strips and steel were twisted together then hammered into a blade with a hardened edge. Swords were often highly decorated and many had names such as Blood-hungry or Leg-biter. Vikings carried their swords in scabbards, worn over the shoulder and always accessible to the right hand. 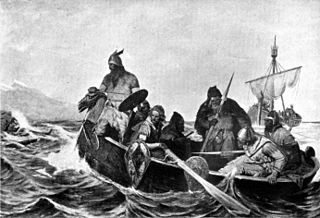 More Viking men carried axes or spears. Battle axes had long handles, were light, well balanced and deadly. Battle axes had a variety of head shapes with a cutting edge from 3 to 6 inches. Later axe heads were much larger, from 9 to 18 inches long. The long handle allowed the warrior a longer reach in a fight. Axe heads as well as swords were richly decorated. The Mammen axe dated to 971 even had gold and silver inlay. Spears were probably the most common weapon, taking the least amount of iron to make. They could be thrown or used to thrust at the enemy. Spear heads came in a variety of shapes and sizes from long and thin to spear heads with a wing shape near the shaft. Spear heads were also made of iron and many were decorated. Bows and arrows were also used in battle. All Viking men would carry a round shield for protection. How rich a Viking was determined his defensive weapons. A rich man might also own chainmail and an iron helmet. Chainmail was difficult to make and no doubt quite expensive. Helmets were basically an iron bowl that protected the head, and many had a nose piece to protect the face. Poorer Vikings without access to chainmail wore thick, padded leather garments which gave some protection from edged weapons. 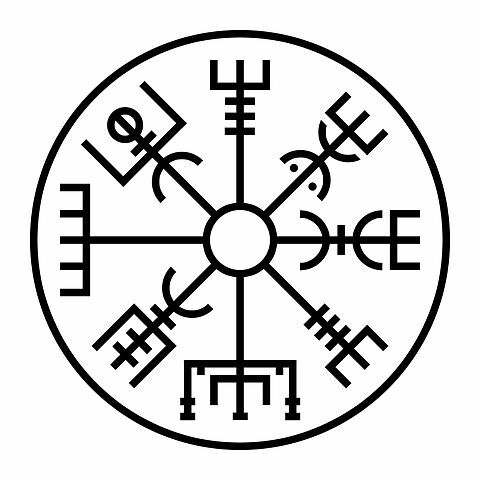 Viking shields could be up to a meter wide. They were made of wooden boards riveted together with an central hole for a hand grip. Shields were also highly decorated and some were painted with patterns or mythological heroes. With these simple but effective weapons, Vikings were able to conquer major portions of England, France and Russia. Muscles from hard work and ferocity in battle won Vikings their reputation as feared warriors. For more information on Viking weapons and other counter-intuitive facts of ancient and medieval history, see Anthony Esolen’s The Politically Incorrect Guide to Western Civilization © 2008. You can find it at Amazon or Barnes & Noble.